Including Lisa Clampitt (Founder of Matchmaking Institute of New York), Paul Brunson (Television host and mentor), Hayley Quinn (UK’s Top Dating Coach and TED Speaker), World-renowned relationship expert and professor Dr. Terri Orbuch, Violet Lim (Co-Founder of Lunch Actually Group, best-selling author and TED Speaker), and more! Seasoned matchmakers and industry players from all over the regions can look forward to more sharing on matchmaking secrets, tips, strategies and exchange of knowledge from the line-up of notable speakers (which is still growing!) Ask questions, voice challenges, concerns, and share ideas in this safe and comfortable space. 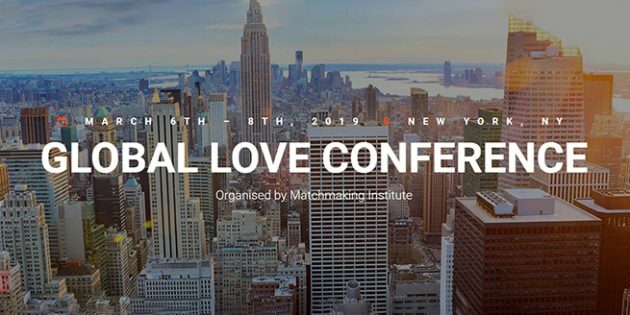 It is going to be the largest gathering of love industry professionals, organized by Matchmaking Institute of New York – the longest established matchmaking school in the world. If you’re looking for a new career in matchmaking or to grow you existing matchmaking business, this is the certification to grow a successful business that you should not miss. Topics include: sales process, successful matchmaking business models, PR and marketing, recruiting, branding or rebranding, collaboration for growth, and much more. 4 – Networking opportunities with industry experts, love professionals and media from over 50 countries! Learn valuable resources for referrals and best-practices from fellow industry players and professionals. Collaboration is the key to growing the business and look forward to many strategic partnerships that may arise. No, we didn’t come up with that one, Forbes did. But it’s true. Many entrepreneurs are attracted to go in the dating and love industry, because one, it’s a growing and profitable industry worth over $2 billion, but more importantly, it is a career that is very meaningful and fulfilling as it can change people’ lives every day and impact generations to come. For more information and to register on this event that will transform your career, visit https://matchmakinginstitute.com/nyc-2019/ and enjoy Early Bird prices now.